We are always eager to hear from potential new employers about their business needs. 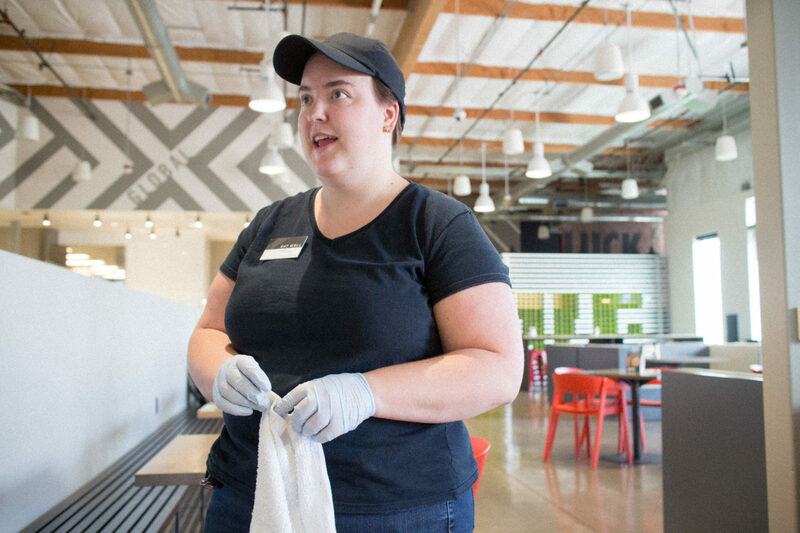 More job opportunities means getting more people with intellectual/developmental disabilities in today’s workforce. Any company interested in exploring the opportunity for job placement is encouraged to “Contact Us!” All of our services are free-of-charge. We partner with a variety of employers (see below) and have a running total of over 40 individuals placed in independent jobs throughout the Portland tri-county area. AAW appreciates its relationships with Metro area employers dedicated to diversity and inclusion in their workforce. AAW clients sport an array of skills from sorting, customer service, manual labor to computers. If you are interested in becoming an AAW Employer, please contact DavidE@abiiltiesatwork.org for more information about onboarding, training andplacement.